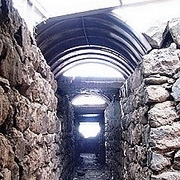 Contemporary History Israel Tours - Galilee Travel, Inc.
A uniquely designed comprehensive tour of the places that played a pivotal role in the rebirth of Israel as a country and the historical sites that embody Israel's success and struggles from the mid 19th century till the present. Afternoon Arrival to Israel’s Ben Gurion International Airport. You will be met by our Diesenhaus representative and be introduced to your dedicated Israeli History professional who will be accompanying your group and serving as your guide during the complete trip. 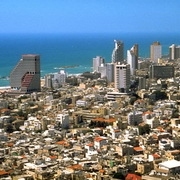 The bus ride from the Airport to downtown Tel-Aviv takes about thirty minutes. After check-in and some time to unpack and freshen up you are invited to a welcome cocktail reception and dinner at the hotel. Overnight in Tel Aviv. This will be your first morning in Israel and your first chance to enjoy Israel’s famous breakfast tradition – an unusually rich selection of dairy, pastry, eggs, smoked fish, vegetables, fruit and beverages. After breakfast you will join your fellow travelers at one of the hotel’s conference rooms for a four-hour introductory lecture given by your guide. The lecture will provide you with an opportunity to meet your expert and hear a comprehensive lecture about Israel’s contemporary history with emphasis on the places you will be visiting. Around noon time you will have a short break to get some rest following your incoming flight and/or stroll the colorful Carmel open market, Tel-Aviv’s trendy Neve Tzedek district or take a leisurely walk on the “Tayelet” – Tel Aviv’s bustling boardwalk overlooking the Mediterranean, all are just a short walk from your hotel. Early afternoon you will be taken on a guided walking tour of “The Station” where in 1890 a railway station was constructed as an end point for the Jaffa-Jerusalem railway – a major stepping stone to the revival of Jewish habitation in Israel. The railway was envisioned by Moses Montefiore in 1857 and by the 1890’s was serving many pilgrims and newcomers to Israel including Theodore Herzel. In the 1920’s, under British rule, a new extension of railroad tracks was laid to connect the Jaffa-to-Jerusalem line with Tel-Aviv’s new railway station built just north of the new city’s center. From The Station exhibit complex, you will be taken to Old Jaffa, Tel-Aviv’s multicultural, ethnically diverse, history-soaked and colorfully attractive neighborhood. In Jaffa you will have a chance to learn about the area’s early Jewish residents who relocated from Jerusalem or arrived from destinations such as Morocco, leading to the formation in 1863 of the Jaffa Jewish Committee. 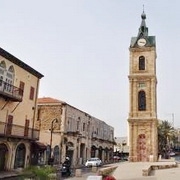 You will hear about Jaffa’s vibrant Jewish cultural and religious revival and about the growth of this community in terms of commerce and society leading to the formation, just north of Jaffa, of two new Jewish neighborhoods - Neve Tzedek and Neve Shalom in 1887. These neighborhoods were the direct precursors of Tel-Aviv. You will hear about how Israel’s first bank, the Anglo-Palestine Bank, and first educational institution, the Hebrew Gymnasium, were founded in Jaffa. In the evening you will have a chance to explore Jaffa’s eclectic mix of contemporary galleries, shops, Churches, and Mosques, and enjoy Dinner at one of Jaffa’s exceptional restaurants and return the short distance to your hotel for your second overnight in Tel-Aviv. DAY THREE – Palmach Museum, Mikve Israel, Zichron and Atlit. 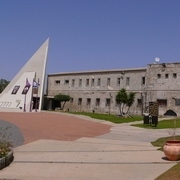 After Breakfast and an early start your bus will take you to the Palmach Museum in Tel-Aviv. The Palmach Museum will provide you with an opportunity to learn about the elite fighting force of the Haganah, established in 1941 as an underground army during the British Mandate of Palestine. The Palmach played an integral role in the relations between Israelis and the English before 1948 and was a crucial and determining force in the War of Independence. The museum narrates the Palmach’s history and its significant contribution to Israel’s political, social and cultural heritage. 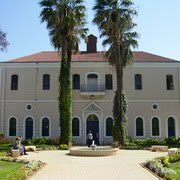 From the Palmach museum you will travel to Mikveh Israel, the first Jewish agricultural school in Israel established by Charles Netter of the French Jewish organization Alliance in 1870. Netter pioneered progressive educational methods to teach agriculture as a new way of life for the future inhabitants of Israel. 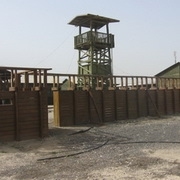 Over the years Mikve has taken part in the most dramatic chapters of Israel’s history––as a base for the pre-state defense force, the Haganah, and a home for waves of new immigrant children. A guided tour brings alive the old gate, the synagogue, the Karl Netter House and other attractions at the site, which is dipped in greenery, including its famous Bengali Ficus tree planted by the Mikve’s pioneering landscape gardeners around 1888. You can also descend deep underground to the cool arched halls of the stone-carved wine-cellar, built in 1883. From Mikve Israel you will travel north along the coastal road to Zichron Ya’akov, one of the first Jewish settlements in Israel founded in 1882 and visit the old town, the Aaronson House and stop by the first winery in Israel built by the Baron de Rothschild in 1885. Zichron Ya'akov was founded in December 1882 when 100 Jewish pioneers from Romania, members of the Hovevei Zion movement, purchased land in Zammarin. In 1883, Baron Edmond James de Rothschild became the patron of the settlement and drew up plans for its residential layout and agricultural economy. Zichron was one of the first Jewish agricultural colonies to come under the wing of the Baron (along with Rishon LeZion and Rosh Pina), who renamed it in memory of his father. To accomplish his first objective, Baron de Rothschild brought in planners who designed and allotted housing lots along the main road for the use of settlement farmers. Each lot included a house facing the street, a long interior courtyard and a rear building for storing agricultural implements. The French-inspired architecture included tiled roofs and painted wooden windows. 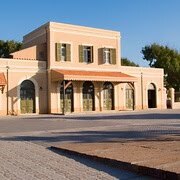 In 1885 Rothschild helped to establish the first winery in Israel, the Carmel Winery, together with a bottling factory, in Zichron Ya'akov. Today, the winery remains in action, as do the huge wine cellars that were carved into the mountain over a century ago. From Zichron your bus will travel a short distance to the Atlit detainee camp, a detention camp established to prevent Jewish refugees from entering Palestine by British authorities at the end of the 1930s. Tens of thousands of Jewish immigrants were interned at the camp, which was surrounded by barbed wire and watchtowers. After concluding the comprehensive visit to Atlit, you will board your bus and continue north along the coastal road to Haifa – capital of northern Israel and the country’s largest commercial seaport. 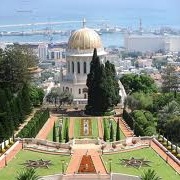 In Haifa your bus will ascend Mount Carmel along a panoramic road that overlooks northern Israel and the Galilee. On clear days Mount Hermon, the tallest peak in the Middle East is clearly visible. Your bus will do a quick photo-op stop at the lower entrance to the Baha’i Shrine & Gardens, a UNESCO World Heritage site, and then continue on to the where you will enjoy dinner at your hotel, an evening stroll along the Carmel panoramic walkway overlooking the city and an overnight in Haifa. DAY FOUR – Exploring Israeli Pioneers in the Galilee. Today you will explore the history of Israel’s pioneer communities in the Galilee and early agricultural settlement in the region. Your guide will provide expert historical insight at each location. After breakfast at the hotel in Haifa, you will board your bus and drive to Kibbutz Ein Harod, the first Kibbutz in Israel. 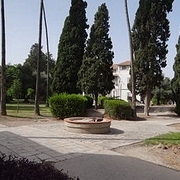 The kibbutz was founded by Russian Jewish pioneers of the second and third Aliya in 1921 on a tract of land near a railway station in the Jezreel Valley. The kibbutz played an important role in the defense of the area during the 1936 Arab revolt in Palestine, during which it was the base of Orde Wingate's Special Night Squads. The kibbutz has exceptional significance in the history of Israel’s road to independence and in the country’s patriotic culture. From Ein Harod you will travel along the Jezreel Valley to Gan Hashlosha National Park where you will visit a restoration of Tel Amal, established on the night of December 10, 1936 as one of the Tower and Stockade settlements set up by Jewish pioneers in the face of British Mandate opposition. The rooms in which the pioneers lived feature an exhibit of daily objects and a 10-minute film in the restored dining hall depicts life during the time of the Arab revolt (1936-1939). You will be able to take a refreshing stroll through the lush tropical park where warm spring water emerges to form the Amal Stream and picturesque pools. From Tel-Amal your bus will travel north from Beit Shean, along the Jordan Rift Valley, to Kibbutz Gesher, founded in 1939 by German immigrants from Germany and named after the neighboring Naharayim ridge over the Jordan River. 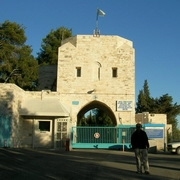 The kibbutz was founded in 1939 as a Tower and Stockade settlement on lands bought with the help of Edmond de Rothschild. In Gesher you will hear about battles with Iraqi forces in 1948 and the region’s duress during the War of Attrition between 1967 and 1970 when the kibbutz was attacked by the PLO operating out of Jordan. 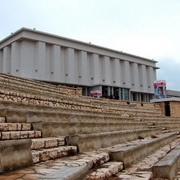 After the peace agreement between Israel and Jordan, the kibbutz established a museum that documents the history of Gesher and the Jewish-run power station of Naharayim. From Gesher you will travel to Kibbutz Degania Aleph, the first kibbutz established on October 29th, 1910 by Zionist pioneers. On May 20, 1948 during the Battles of the Kinarot Valley, Degania Alef repelled a Syrian attack. Degania Alef has been home to many prominent Israelis and members of the Yishuv. The poet Rachel, the "prophet of labor" A.D. Gordon, and Joseph Trumpeldor, all worked at Degania Alef, whilst many early members of Degania Alef left to found other kibbutzim. 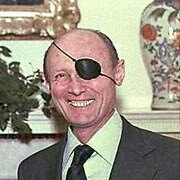 Moshe Dayan was the second child born in Degania Alef. In 1981, Degania Alef was awarded the Israel Prize, for its special contribution to Israel’s society and history. Near Degania you will visit the Kinneret Courtyard – a National Historic Site - where many of Israel’s major institutions were founded. To the east you will visit a historic cemetery where many pioneers and leaders of the Labor movement are buried including Israel’s prolific composer and songwriter Naomi Shemer. Following your visit to this amazing part of Israel’s history you will board your bus and travel the short distance to Tiberias where you will have dinner on the shore of the Sea of Galilee and check in at your hotel for an overnight stay in Tiberias. DAY FIVE – The Golan Heights. 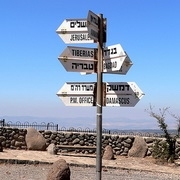 After breakfast at your hotel in Tiberias, you will board your bus and drive to the Golan Heights, ascending gradually to the high volcanic plateau from which the Syrian army once terrorized Israel’s Northern Galilee. Today will be one of the most important and fascinating days of your tour, dense with relevant history that reflects the crux issues of Israel’s precarious security situation. On the way to, and during the various stops, your guide will highlight points of interest and discuss the region’s unique geography and history. Your first stop will be at Tel Facher, a Russian built Syrian bunker fortress that harassed Israel’s Galilee Panhandle from 1948 till the Six Day War in 1967. 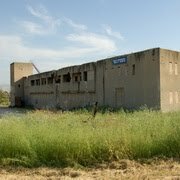 You will learn about and explore the remnants of this Syrian base with your guide, or just wander around the trenches in the 50 year old footsteps of the Golani Brigade soldiers who captured the mountaintop. You will continue exploring significant Golan locations related to the 1967 and 1973 wars: The Bental outlook from which you will see Syria’s landscape to the east; The Quneitra lookout which overlooks the abandoned city of Quneitra in the DMZ; The Bacha outlook from which you can see an area in which heroic Israeli units thwarted Syrian attacks in the Yom Kippur War; The Shalom overlook – another site from which Syrian bunkers harassed Israel’s northern Galilee; and the Gadot overlook commemorating the perseverance of Kibbutz Gadot’s 20 years of suffering on the Syrian border. 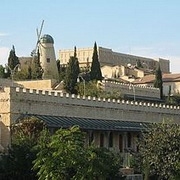 Later you will visit the Kesem Hagolan Center in the central town of Katzerin where you will also be able to learn some more about the Golan’s geological attributes and enjoy a light lunch, wine tasting, a tour at the Golan Winery and a beer sampling from one of Israel’s finest Breweries. Your bus will then descend from the Golan along the Sea of Galilee and travel to Kibbutz Ginosar – home of Yigal Alon the legendary Palmach commander and then return you back to your Tiberias hotel for dinner and an overnight stay. DAY SIX – Tel Chai to Acre. After breakfast you will again travel north, to the very tip of the Galilee’s Panhandle, to Kibbutz Kfar Giladi and the Tel Chai Memorial. The kibbutz was founded in 1916 in an area subject to intermittent border adjustments between the British and the French. In 1919, the British relinquished the northern section of the Upper Galilee containing the small settlement Tel Hai, the town of Metula, and Kfar Giladi. Tel-Chai represents a pivotal chapter in Israel’s national narrative when during an Arab attack in 1920, Joseph Trompeldor, a local defender proclaimed “It’s Good To Die For Our Country” after being mortally wounded. 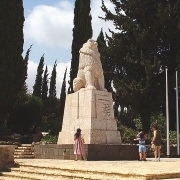 Tel Chai was absorbed into Kfar Giladi in 1926 but the Kibbutz hosts the memorial to Tel-Chai’s heroism. After Tel-Chai you will return south pausing briefly at the Hula Valley and the Dobrovin Estate, a restored farm belonging to a Russian family that immigrated to Israel and chose to settle in the malaria infested swamp. The visit to the estate includes a genuine reconstruction of the old family house. The history of this family and its tragic surrender to malaria is featured in a short documentary in the Visitor Center. From there your bus will continue south to Rosh Pina and then west towards Naharia and the coast. On the way you will stop at a medieval fortress that played a significant, albeit tragic role in Israel’s contemporary history. Kibbutz Yechiam, located next to the fortress, was put within the limits of the Arab state rather than the Jewish one by the 1947 UN Partition Plan, exposing the settlement to incessant harassment by Lebanese militia. From Yechiam you will proceed to Kibbutz Lochamei HaGetaot – an early settlement on the road between Acre and Nahariya, whose founders in 1949 were surviving resistance fighters from the Warsaw Ghetto Uprising, as well as former Jewish partisans and other Holocaust survivors. You will have a chance to visit the Ghetto Fighters House - the world’s first museum commemorating the Holocaust and Jewish heroism. The museum tells the story of the Jewish people in the 20th century, particularly during World War II and the Holocaust and at the center of the narrative are the many expressions of Jewish resistance in ghettos, concentration camps, and partisan combat. 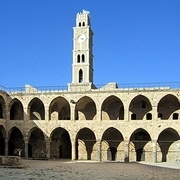 Your next stop will be the coastal town of Acre.The British Mandate government converted Acre’s Ottoman fort into a jail, where members of the Jewish underground Irgun movement were held during their struggle against the British, among them Zeev Jabotinski. In the 1947 UN Partition Plan, Acre was designated to be part of a future Arab state. Emboldened, Acre’s Arabs attacked neighboring Jewish settlements in the Western Galilee but during the War of Independence Acre was besieged by Israeli forces and captured May 17, 1948. 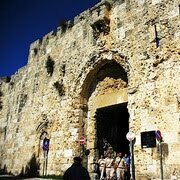 Following your extensive trip to the Western Galilee, you will board the bus for the trip to Jerusalem. On the way you will stop at a restaurant for dinner. 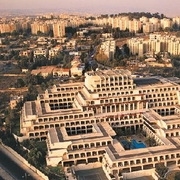 Upon arrival in Jerusalem you will check in at your hotel for your overnight stay in Jerusalem. DAY SEVEN and EIGHT – Jerusalem. Welcome to the your hotel and to the amazing city of Jerusalem. Your two days in Jerusalem will be an intense and exciting learning experience that is too extensive to recount in this itinerary. On your first morning, following breakfast, you will be given an introductory lecture about Jerusalem’s part in Israel’s contemporary history from the foundations of Jewish settlement in the Old City to the establishment of modern Jerusalem, its defense in 1948 and unification in 1967. You will spend two days exploring Jerusalem’s history beginning in 1836, when Jews from Algiers and North Africa began to settle in the city in growing numbers and were allowed to restore four major synagogues, among them the Hurva, which you will visit in the Jewish Quarter. You will hear about, and visit, the Russian Compound and Mishkenot Sha'ananim, new neighborhoods that began to develop in 1860 outside the Old City walls to relieve the intense overcrowding and poor sanitation inside the city. You will learn about Jerusalem during the British Mandate beginning in 1917 when the total population of the city rose to 165,000 with two thirds of that number being Jews in an enlarging Western Jerusalem, and about the continuing unrest between Jews and Arabs in Jerusalem in the 1920’s. You will tour the sites of the historic and emotionally charged battles to liberate Jerusalem’s siege in 1948, the division of the city in 1949 and the history of the city under Jordanian rule until 1967. You will visit the Jewish Quarter in the Old City and hear about the liberation and unification of Jerusalem in 1967 and about the reconstruction of the Synagogues and Jewish Quarter. You will hear about the Geo-Politics of Jerusalem and about issues related to the city’s international stature and legal status. 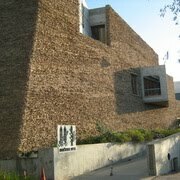 You will also visit the Yad Vashem Holocaust Memorial and learn about the relationship between the events in Europe during World War Two and the formation of a Jewish State. And finally you will have a chance to enjoy some free time to explore Jerusalem on your own, including the Mamilla Mall directly adjacent to your overnight hotel. DAY NINE – Exploring the Negev. After breakfast in Jerusalem you will board your bus and travel south to Beersheba, the capital city of Israel’s arid Negev. Beersheba grew in importance in the 19th century, when the Ottoman Turks built a regional police station there. The Battle of Beersheba was part of a wider British offensive in World War I aimed at breaking the Turkish defensive line from Gaza to Beersheba. In 1947 the city and its environs was envisioned as part of the Arab state in the United Nations Partition Plan for Palestine. Following the declaration of Israel's independence, the Egyptian army amassed its forces in Beersheba as a strategic and logistical base. In October 1948, the city was conquered by the Israel Defense Forces. In Beersheba you will visit the Negev Brigade monument and hear about the city’s role, and the region’s part in the geo-politics of Israel’s southern desert from the early 20th century till the Israeli independence. You will learn about the Palmach’s Negev Brigade, which was organized more like a traditional military unit, and its main enemy – the Egyptian Army. From Beersheba your bus will take you to Kibbutz Hatzerim, one of the largest and most successful Kibbutzim in Israel. 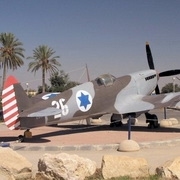 The community is located not far from an Israeli Air Force Base and hosts the Israeli Air Force Museum where you will have a chance to hear about the IAF’s significant role in Israel’s security. 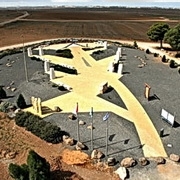 From Hatzerim you will travel to the Western Negev and to the Black Arrow monument near Kibbutz Mefalsim. The Black Arrow Monument will be one of the more amazing sites you will visit in terms of historical relevancy in that it provides a razor sharp understanding of the background of Israel’s current geo-political situation. The attractively designed site commemorates Israel’s retaliation raids for incessant terror attack launched from Gaza in the 1950’s. From this geographic vantage point there are impressive views of Gaza. From Black Arrow you will travel to Kibbutz Negba, another very important and historically interesting location in the Western Negev. 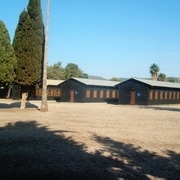 Kibbutz Negba was founded on July 12, 1939 as part of the tower and stockade enterprise and was the southernmost Jewish settlement in Mandate Palestine. In the 1948 Arab-Israeli War, the Israeli military engaged in many battles with Egypt. 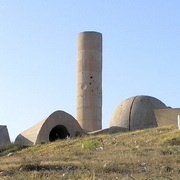 When the Egyptians invaded on 15 May 1948, their forces advanced and captured a formerly British police station named Iraq-Suweidan that controlled the route to the Negev. Aside from the police station, the Egyptians seized Arab villages near the kibbutz, from which they attacked Jewish vehicles traveling on the roads from Ashkelon to Hebron and Jerusalem. The kibbutz was destroyed in the heavy fighting which went on for three months. On November 9, 1948, after the defeat of the Egyptian army in Operation Yoav, the police station was captured by the IDF. 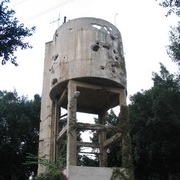 A memorial to fallen soldiers was constructed next to the remains of an Egyptian tank and the kibbutz water tower which is still pockmarked with bullet holes. From Negba you will travel to your final Negev destination: the Ad Halom Memorial commemorating the northernmost point reached by the Egyptian army in Operation Pleshet, one of the battles of the 1948 Arab–Israeli War. As part of Camp David Accords between Israel and Egypt a monument in the memory of the fallen Egyptian soldiers was established. It was compensation for the abandonment of Israeli obelisks in the Sinai Peninsula. The inscriptions on the four edges are in Hebrew, Arabic, English and hieroglyphs. From this location your bus will drive back to Tel Aviv where you will be able to enjoy a few hours of free time and an evening dinner at your hotel. DAY TEN – Farewell to Israel.